In this decade, Michael West produced some of her most fascinating paintings. In 1975, a series of paintings were created in which she worked with the square. The square would not be perfect, but tentative. She thought these works should be in an educational institution. 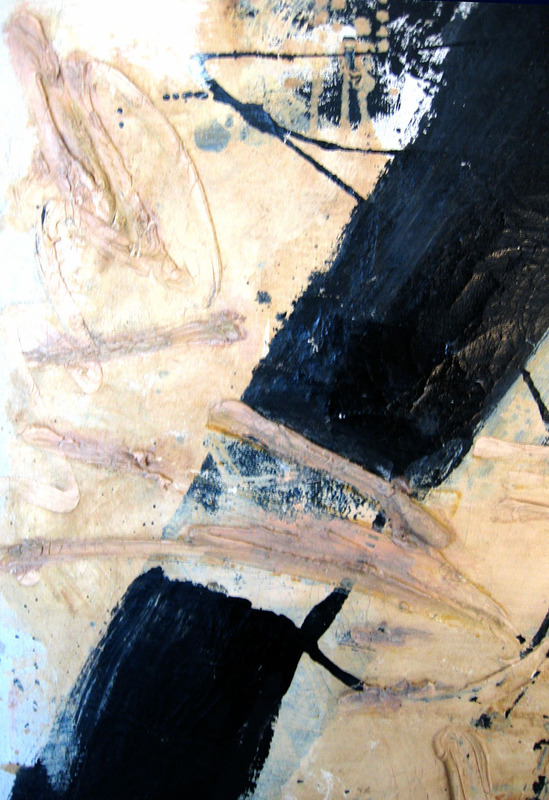 The paintings in this series are all approximately 75" x 50". MW's oils had more open space in the 70's and the compositions were even more Eastern-influenced as she was a practicing Buddhist. Unfortunately, this is also the period in which she suffered a severe stroke and aneurism. She kept on working and created enamels and drawings on paper when she was unable to tackle the large canvases. Some powerful charcoal drawings of Bruce Lee (homage to) exist. There were similarities between the two dynamic artists in regards to the bursts of power and energy which for each produced the desired results. There are many who think that her best work was created in the 70's as opposed to the those who are only concerned with the early period mostly due to the "faddish" followers in the art market. The notion that Abstract Expressionism ended in 1962 just is not so. When POP came in, did Motherwell stop Abstract Expressionism? Did the 2nd wave? Michael West was ALWAYS an Abstract Expressionist as her last work titled Incense, will clearly show. Those who own her 70's and beyond works are collectors with truly refined taste who buy art for art's sake and not because the market dictates something else. 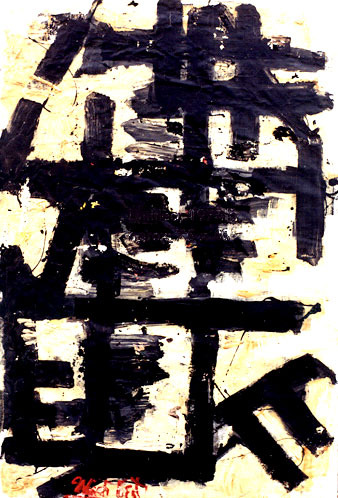 What if Roy Neuberger did not buy Pollock's 50s paintings? Ms West's paintings of the 70's make a fascinating contribution to Contemporary Art. THE PROCURERS 1973. Oil on Canvas. 72" x 48". Detail of THE PROCURERS showing the magnificent paint quality that marks a great West. Powered by Bravenet.com all photos & writing copyright 2012-2015, Stuart Friedman.